Managing a transportation business can be stressful. As your client base grows so do your responsibilities. More jobs to complete means taking on more staff. More staff means more to organize, more communication, less time for you and often more stress. As you hire contractors, part time staff and full time staff it’s essential to make sure the right person has the right information at the right time. This is true of any business, but it is especially the case when each job has a tight deadline. Fast communication combined with automation can go along way to easing your growing workload and reducing the stress of managing your business. TransitTeam is a new WordPress plugin designed to get new transportation job requests from the web to your team as quickly as possible. The following is an example workflow for a courier company. A similar process can work for any transportation business whether that is freight transportation, taxis, limo hire or personnel transportation. Business begins on the web. If your customer needs something delivered, the first step will be to search for a local business that offers the service they need. For example: A courier is required to bring confidential documents from a business office in the east of the city to the head office in the west. The secretary responsible for the task does a quick google search and finds your courier business has an attractive WordPress website. Time is everything so they click on Quick Quote, enter the business addresses into your easy to use online form and see an automatically calculated delivery quote. Happy with the price, the secretary proceeds to checkout and pays your fee. You receive a notification on your phone that a new delivery request has been booked and paid for. You log into your online Dashboard and check the deliveries for the day. 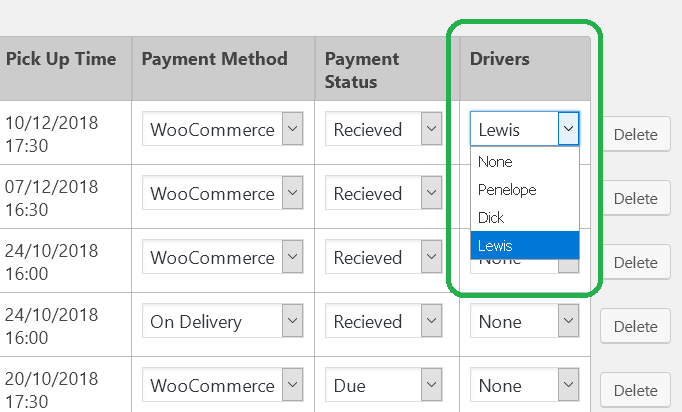 Each delivery is assigned to a driver so you can see at a glance who on your team is available. You see a driver that is free so you select their name from the drop down list of driver names. When you assign a job to a driver they recieve an email notification on their mobile phone. The driver logs into a mobile optimized secure page on your website. On this page they see a list of all jobs that have been assigned to them. Clicking each job reveals the full details needed to complete the delivery including customer contact details and a link which opens the Google Maps App and shows driving directions for pick up to drop off locations. The driver taps the screen to change the job status to “In Progress” and sets off to the collection address. The job status is visible on your management dashboard and can optionally be viewed by your customer on your delivery tracking page giving them confidence that their delivery is on the way. Today is an amazing time to be running business. Every customer and every employee has the Internet in their pocket. To run and grow an efficient modern business there is no longer any need for complex desktop applications or expensive IT infrastructure. The courier system above runs on a simple WordPress website and a mobile phone. All you need are a few plugins to turn your website from a simple point of contact into a simple and efficient machine for managing your incoming jobs from beginning to end. Our goal is to help you grow your transportation business using simple affordable tools to streamline and simplify your day to day business processes. 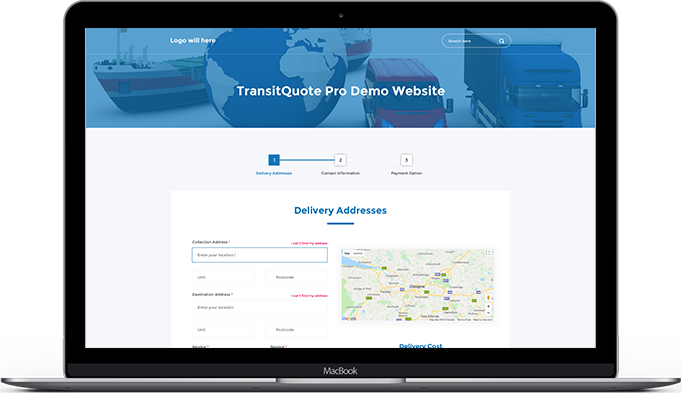 The TransitTeam WordPress plugin is an add-on for TransitQuote – our transportation quote calculator which uses Google Maps and your quote calculation to provide instant online quotes on you business website. TransitTeam is in the final stages of development and will be released this month. If you would like more information about TransitTeam or would like early access to try out an online demo, just contact us using the form below and one of our team will be in touch.